Karlsruhe, Germany, September 21, 2015. The new Nero 2016 now gives multimedia fans an even more advanced and powerful all-in-one solution for managing, streaming, playing, editing, ripping copying, burning and sharing files. With Nero 2016, creativity has no limits when it comes to making the most of your photos, videos and music in exceptional quality. The Nero 2016 Classic and Nero 2016 Platinum suites provide full support for Windows® 10 and introduce over 20 great new features which revolve around multimedia streaming functions, the integration of smartphones, tablets and smart TVs, as well as auto-optimized picture and sound quality, alongside many usability improvements and increased performance. Significant improvements have been made in streaming from and to any DLNA/ UPnP-capable device, enabling completely new ways to fully enjoy digital media. This is just one example of how the Nero 2016 suites make the ideal software companion to meet today’s digital media challenges. The Nero Streaming Player is a new, easy-to-use player app for smartphone and tablet that plays slideshows, videos and music on a mobile device directly to a smart TV in the living room. At the same time, it serves as a remote control, browser and playback device for the Nero MediaHome media server. The browsed content can then be sent directly to a smart TV. The new iOS and Android app thus combines the powerful functionality of a PC media server, with the browsing convenience of mobile devices and the first-class picture quality of large smart TVs. Nero 2016 Classic is an all-in-one multimedia solution offering proven quality and functionality. A new video-editing preview function in Full HD quality with the option to turn a second monitor into a preview screen makes the digital experience even more rewarding. It might come as a surprise that over 25 percent of discs burned with Nero are still audio CDs. The new version of Nero Classic now allows music videos and radio recordings to be imported directly as audio files and to have the sound quality automatically normalized and optimized. Furthermore, improved hardware support for ripping and converting video and audio has been coupled with support for the latest and most popular mobile devices, which can be easily be selected from a list without having to worry about formats and settings. This guarantees best media quality on every device when playing, streaming, editing or sharing. Nero 2016 Platinum comes with even more enhancements and improvements. On top of all the features of the Nero 2016 Classic suite, Nero 2016 Platinum packs additional high-end functionalities for a more sophisticated digital lifestyle. The recently added “stashimi” music recorder allows a personal music collection to be created for free by using a wish list function to find and record MP3s from over 100,000 web radio stations. Users of 4K and UHD TVs, PCs, smartphones and camcorders also benefit from the integrated 4K support for top-level quality at every level. 4K video editing, 4K slideshows and 4K playback offer maximum viewing enjoyment in the living room. Moreover, the hundreds of professional video effects, and design and menu templates for every occasion make the Platinum version an incredibly value for money. Numerous iOS and Android apps open up additional fun and exciting ways to use Nero 2016. Nero 2016 Classic is available at a suggested retail price (SRP) of £69,99, and Nero 2016 Platinum for £89.99 (SRP) from authorized Nero sales partners, or directly from the Nero online shop at www.nero.com. Owners of a previous version of Nero can also upgrade at a special price. Nero offers customized and discounted licensing programs designed to meet the needs of commercial enterprises, educational institutions or government agencies worldwide. 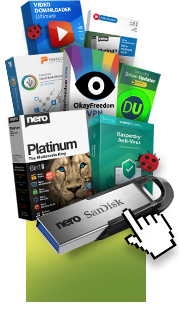 Nero 2016 consists of tried-and-tested stand-alone solutions, such as Nero Burning ROM 2016 (burning software; SRP £39.99), Nero Recode 2016 (video converter and ripper; SRP £ 29.99) and Nero MediaHome 2016 Unlimited (media file manager and media server; SRP £ 29.99) that have also been upgraded with the new functionalities and which can be purchased separately online. In addition to comprehensive 4K video support and the full feature set of Nero Video 2016 (video editing; SRP £ 39.99), Nero 2016 Platinum also includes an unrestricted full license for the new music search and recording software stashimi (SRP £ 12.99) from the company bearing the same name. All the mobile apps can be downloaded for free from the App StoreSM and on Google Play™. For more information and to download a free 15-day trial please visit www.nero.com.